First, measure your pillow. I was able to get three 18″ pillows out of a yard of fabric because I like my covers to actually be somewhere between the exact measurements to a 1/2 inch smaller then my pillow insert. That way they fit nice and snugly and you don’t get that unattractive, too big, bagged out cover look. These pillows were an old hand-me down and I wasn’t a fan of the fabric but knew they would be perfect once recovered. I checked and they measured 17″x18″. I cut my 1.25 yards of fabric into three 18″ sections (it was a 54″ wide fabric so I got exactly three 18″x42″ sections). 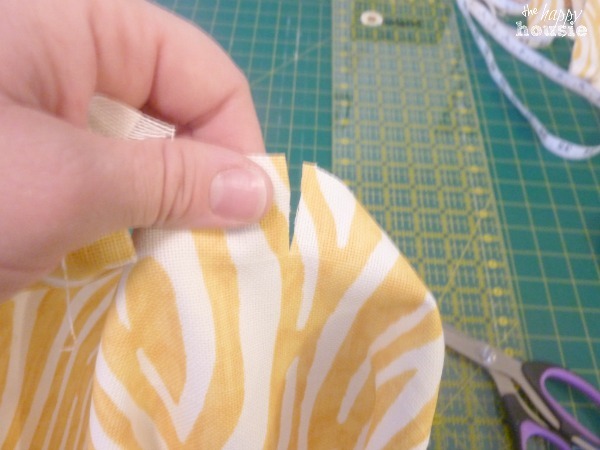 I measured, then took a little snip and ripped my fabric straight down… kinda like they do at the fabric store. You could always cut it all the way along too, but I actually think that doing it this way keeps it fairly straight. 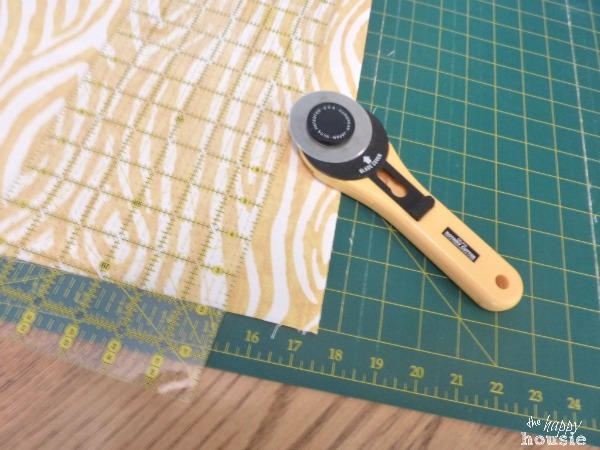 I then trimmed my fabric strips to the correct size – I made them 17.5″x42″ – I love to use my rotary cutter and mat for pillow making because it really speeds things up and gives me straight perfect lines – something I wouldn’t achieve with my scissors. But you certainly could use regular ol’ scissors for this step. The 42″ length is because you want double the pillow size plus 6″ for your enclosure overlap (so 18″+ 18″ + 6″ = 42″). 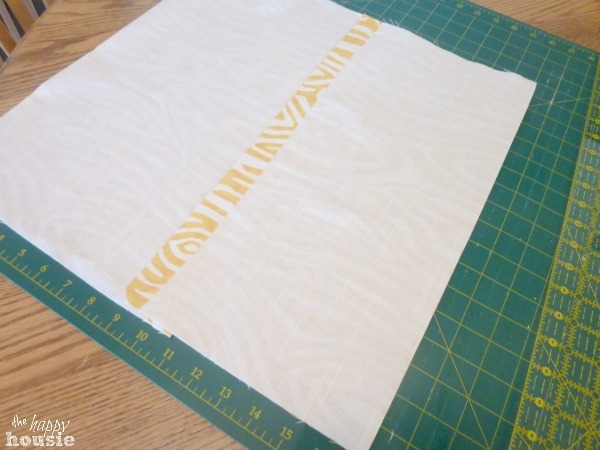 If you want a little extra overlap add a couple of inches of length here (make it 44 or 46″ inches for example). This is a good thing to do if you have a really firm pillow form to ensure that the envelope overlaps at the back of the pillow. Next, I ironed a fold on each of the ends of the LENGHT of the fabric – so if your fabric was 42″ it will be hemmed to become about 41″ long with the two shorter ends folded over and hemmed. Then I whipped these through my sewing machine. With the two short ends hemmed, I folded my length of fabric onto itself, right sides (or the print of the fabric) facing in together. I then measured to make the square 18″. That way my finished square before sewing was 17.5″ x 18″. That would give me the exact or slightly smaller size I wanted to fit my pillow insert once hemmed because I am only hemming the 17.5″ sides. I ironed the folded edges down at this point to make sure that my square was measured correctly. PIN to hold it together and run the two open edges through the sewing machine. Two of the finished pillows have found their home in my son’s currently-being-revamped bedroom… And, yes, that is a rice bag burlap “pillow” at the front of his grouping. What was that? ?… you think that five pillows is overkill for a five year old’s bed? Waaaaa? No way. I say one pillow for each year of your age. You should see how many my husband has on his side of the bed. The other little lovely is brightening up a corner chair in the living room:.. I have a serious crush on this faux bois print right now. 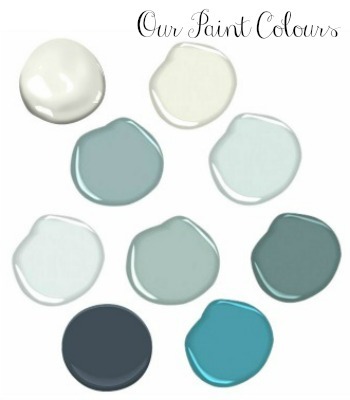 It is available in several super pretty colours and is called Willow by Premier Prints. You can find it here and here…and probably elsewhere as well. So for $10 worth of fabric and 30 minutes (plus hand-me down inserts) I got three brand new pillows. Love it. 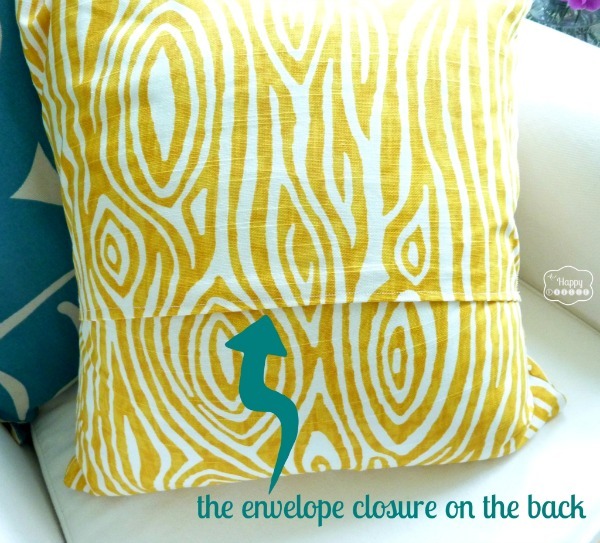 You may have read my other envelope pillow tutorial before? 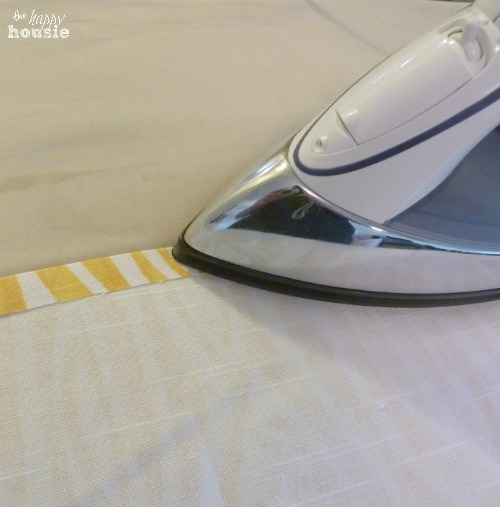 It is good for use with a really expensive print where you want to do the backs of the pillows with a less expensive plain fabric…Otherwise if you are doing the same front/back then this tutorial is the way to go. Easy peasy lemon squishy art. 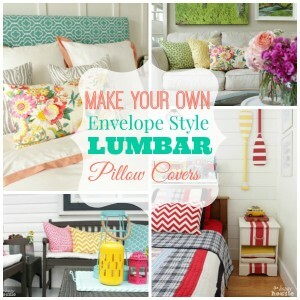 Want to try a lumbar style envelope pillow?? 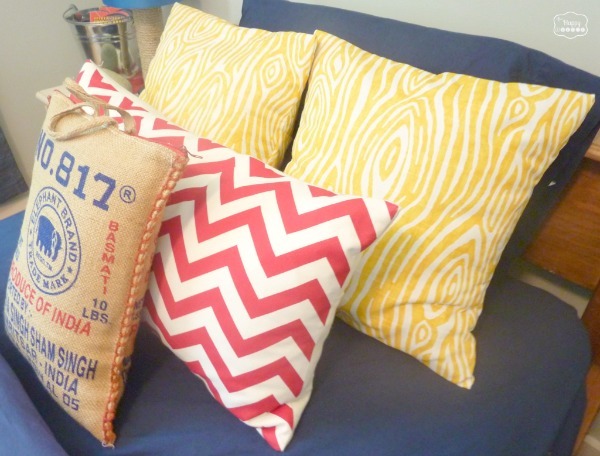 I love these guys…you know, the longer narrow pillows that look great made up in your accent fabric? Do you love throw pillows as much as me?? How many are too many? Actually, don’t answer that. 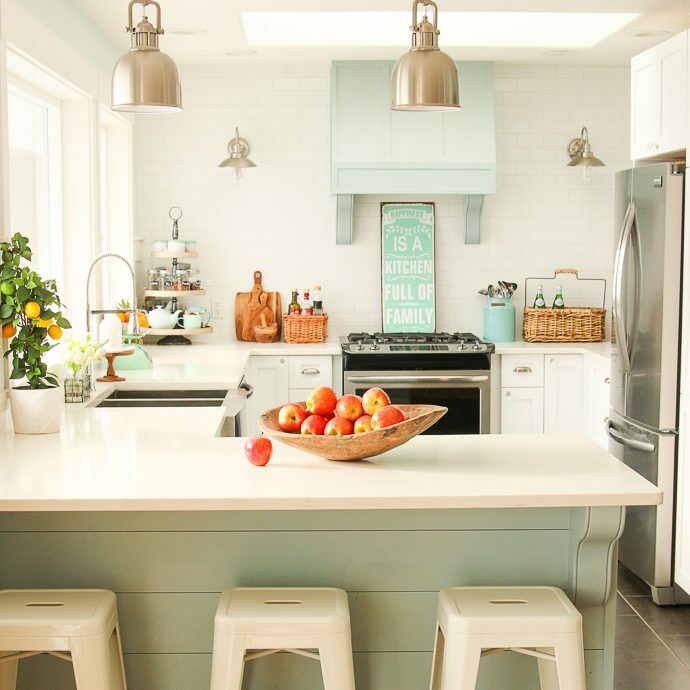 What is your favourite way to change up the look of a room quickly? Hello! How did you get the pattern on the fabric to line up on the back of the pillow? I’ve been trying to figure out how to do this without using extra fabric and yours looks perfect! Hello! 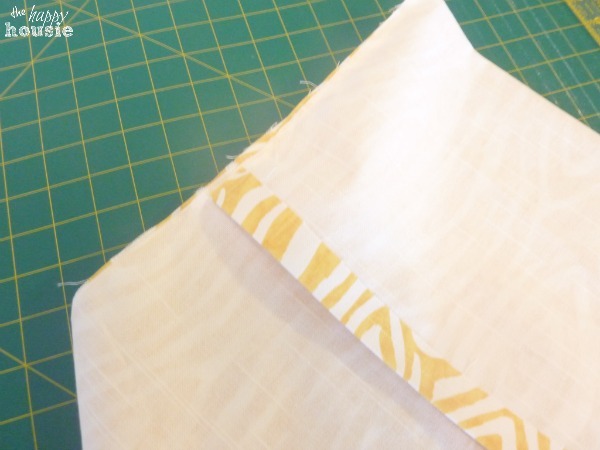 If your long strip is cut and sewn relatively straightly, then when you fold it over and sew it together along the top and bottom, the pattern should line up. Was your fabric cut on a bit of an angle, perhaps? Thank you for this tutorial. It’s exactly what I have been looking for! Hi Krista: can this same envelope style be done for a square foam cushion? thanks! I’m so sorry that somehow this question snuck by me this summer! I haven’t actually tried to do it for a foam cushion, but you might be able to depending on how thick the foam is? If it is only 1″ or so thick, it would probably work, but if it is thicker then that,you will probably lose some of the shape (it won’t look as square). I hope that helps! Thank you for the tutorial! I have four 26 x 26 pillows that are heavily stuffed that I need covers for, I was just wondering if you though I should use a thin or thick cloth type. I was thinking of doing a light upholstery-type cloth but I wasn’t sure if that would work well with the envelope back or be too stiff on the pillows, what do you think? 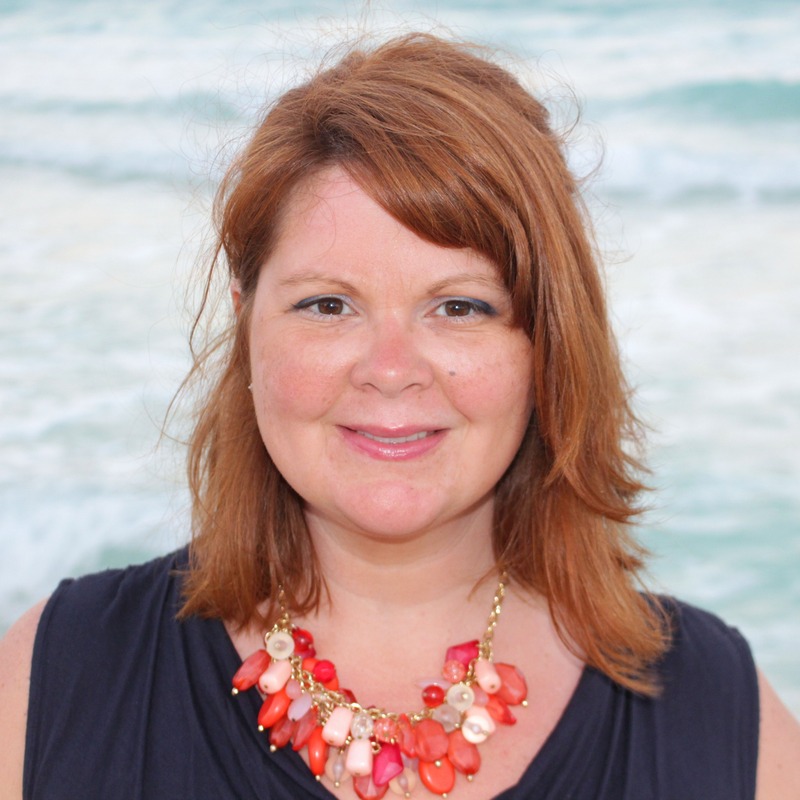 Sorry – this question somehow snuck past me this summer! I have done lightweight upholstery-weight pillows before and it has worked okay – they are sometimes a little more stiff – maybe try washing and ironing the fabric first? It also depends on your pillow forms, I think you would want them to be nice and full for that weight of fabric. 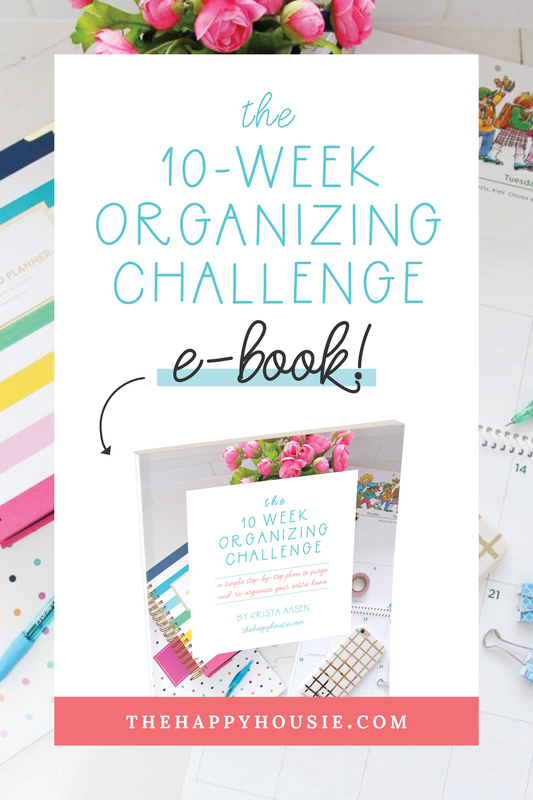 I hope that helps – and sorry for the delay! Hi! I am a rookie at sewing and super appreciated your tutorial as it is clear and easy to follow! My pillows turned out pretty good but for some reason all of my envelope enclosures ended up on the inside of the cover once I turned it out instead of on the outside in the middle of the pillow like yours did. They still look fine so I didn’t even bother trying to fix it, but what did I do wrong!? I just made my first pillow cover! Thank you!!! 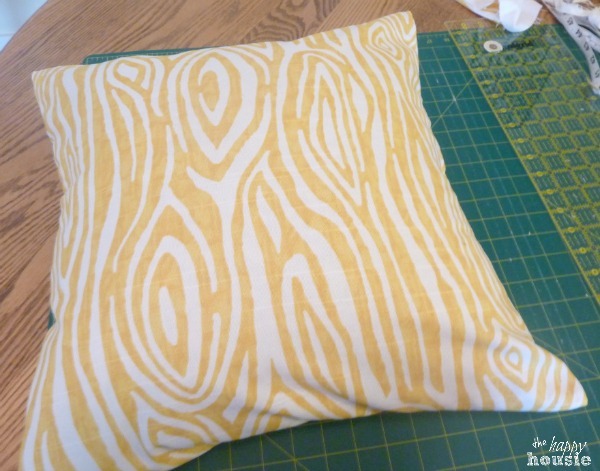 I did my measurements the same as the pillow – it was still a bit loose, so the next time I have the hankering to make pillows I’ll probably go an inch shorter than my pillow. 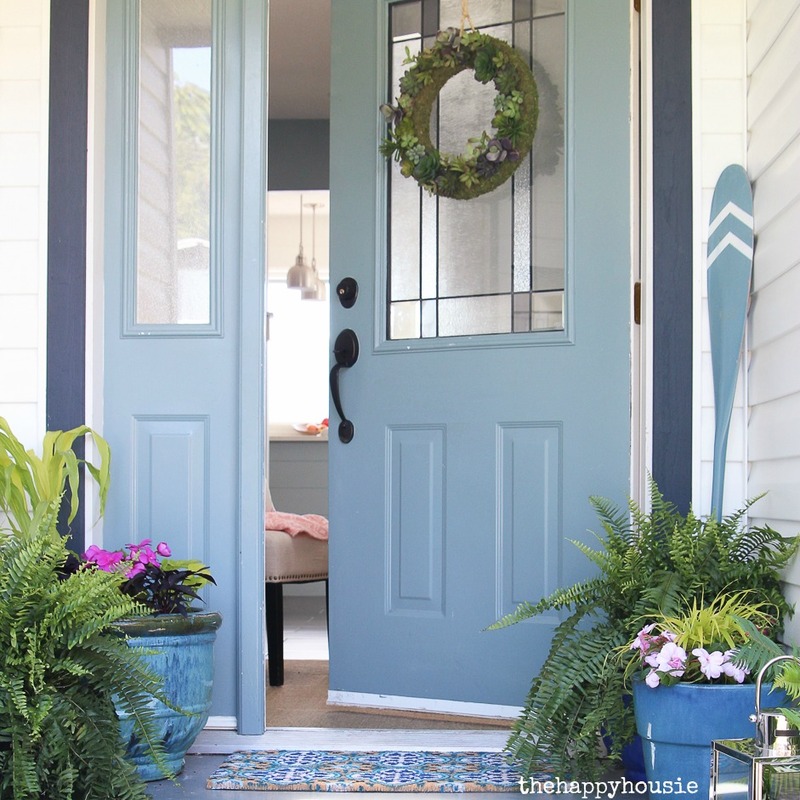 OK, you might not have planned this but – everyone else showing how to make this has fabric that is the same color on inside and outside so it’s a little difficult to see when things are inside out. Even Martha’s material was like that. It just seems if she’s making them to show how to do them, using material that makes it obvious, even if it’s not your matching fabric isn’t a bad idea. Thanks for using fabric that didn’t have that problem! And I love the fact that you just used one piece of fabric, rather than the others that cut a front and 2 pieces for the back. A lot of unnecessary hemming. Thanks to you, I just finished my first sewing project in 30 years. I’m not afraid of my sewing machine any more! Oooh thanks for this! I am making my brother a Walking Dead fabric pillow cover from this tutorial later today. 🙂 And I might have to recover some of my cushions with a unicorn fabric for my daughter while I’m at it. Total opposite fabric choices! 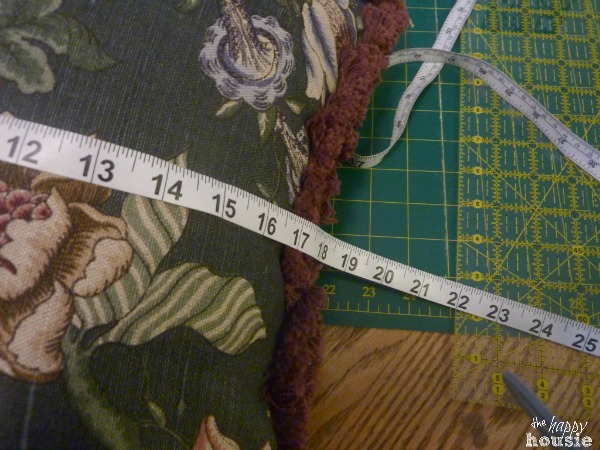 So if I am making a case for a 12×16 pillow… what would my measurements be? Depending on how dense your pillow form is you will want to make the pillow so that it fits exactly or slightly smaller then the finished 12×16 size. 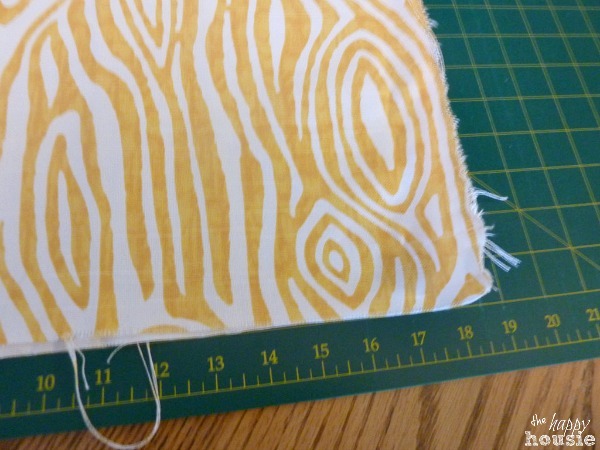 So I would probably cut my fabric at 12.5″ by 16.5″ – with a half inch seam all the way around you should end up with a envelope pillow that is slightly smaller then your insert/pillow form – making for a nice full looking pillow. Make sure to allow enough overlap at the back – probably 4-5″ for a pillow that size. Good luck with your project! 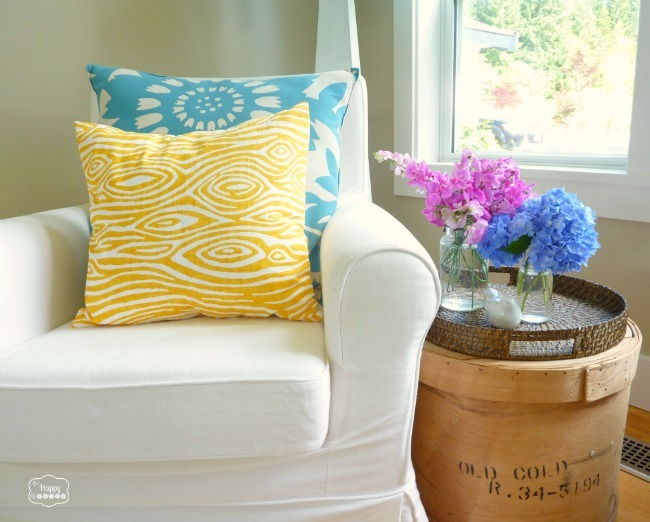 Did you make that one pillow from an old rice bag? The one with the handles? If so, brilliant! Am thinking you just filled it up with a pillow form since it’s already got a zipper. Hi Beth! It is an old rice bag that I stuffed with a pillow form – yes it has a zipper on the top. Isn’t it cute? I still have a couple of them – one that I often use outside and another I use in the basement. I have pillows that came with a new couch. They are very big pillows. This is my first pillow project. Do I need to take measurement for how deep they are too? Oh My Gosh Krista, you must have been reading my mind. I just decided yesterday that I wanted to make some new pillow covers and started looking for just this pattern this morning. Lucky for me I found yours first! 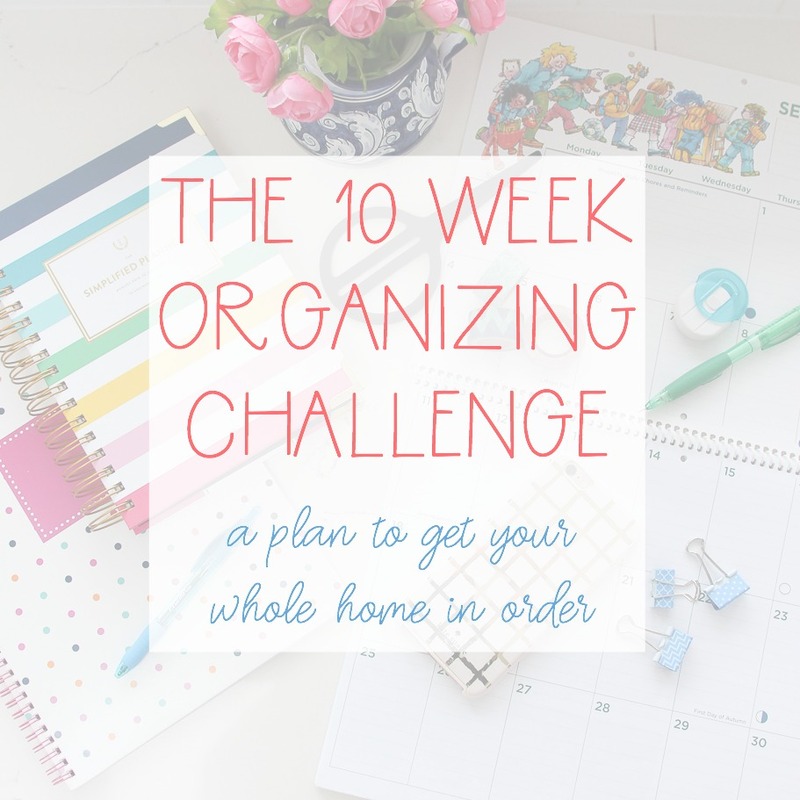 I can do this! LOL! I hope that your project goes well Beth! Now that I have the hang of pillow covers I am always shocked at how quick it is to make some new ones! These were so easy to make! Thank you for the awesome tutorial! Thanks! Aren’t new cushions the best?!? I love these pillows. I just made 4 of them. I need to recover my dinette bench cushions in my motorhome. Do you think this method would work? Thanks for the tutorial! I just made two covers and it was much easier than I thought it would be. 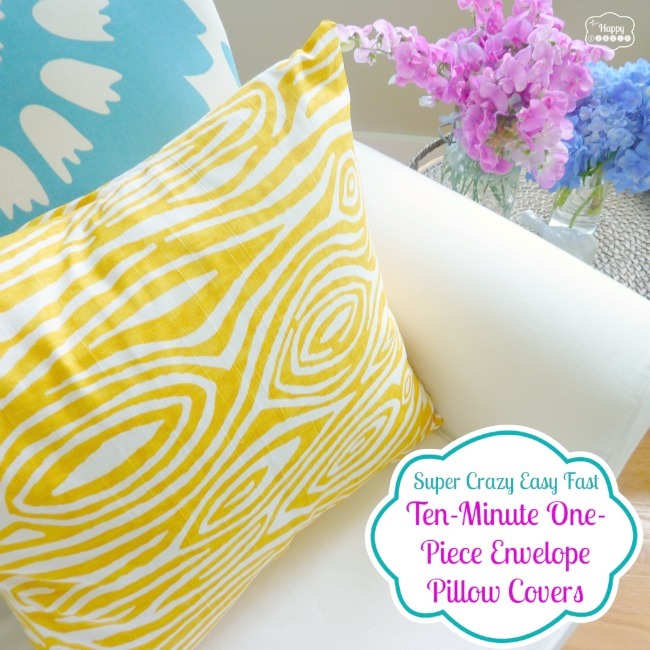 Love the envelope pillows… I am new to sewing and can’t wait to give these a try! As far as how many is too many pillows… Never-ever-ever too many pillows. I have 13 pillows on my bed… I am 36… pillow to age ratio may be a bit much 🙂 but 13 is just right! I think that 13 sounds perfect! They are super easy- good luck with your project!! I love hearing stories like this- I am so glad you found the tutorial easy to follow. I am sure your recipients will love them! Hello! It can be super confusing at first. Think of it as a looooong strip of fabric. You have hemmed the two end pieces but not the looooooong sides. Fold one end down onto itself (good sides facing in), then fold the other side onto itself, overlapping the side that you just folded down. The pieces should overlap by about 6 inches to create an envelope backing. You want the finished ‘box’ shape that you have folded to be the size of your pillow (e.g. 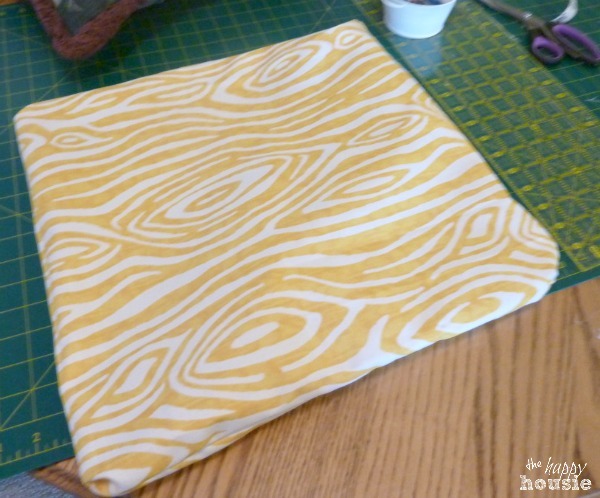 an 18″ square for 18″ pillow inserts). 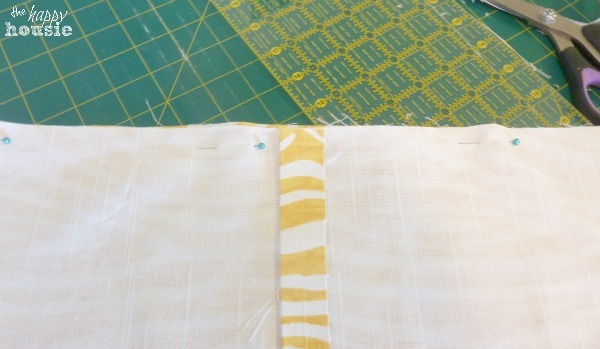 Then you stich up the sides (these are the looooong sides that haven’t been hemmed)…and your pillow is done. Let me know if that is super confusing still and I can send you some additional pictures. Hi Sarah! Are you able to just fold the pillow in more so that the overlapping edges overlap a little bit more, making it an 18″ square? Let me know if that makes sense! 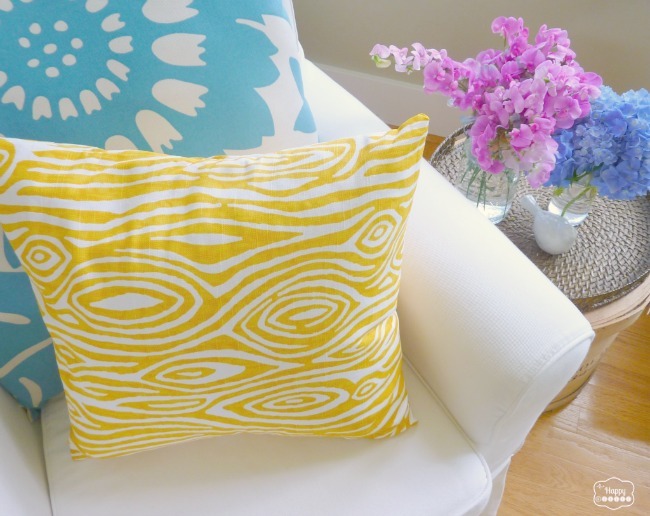 I made for lovely cushions yesterday using your directions – and then took the kids for a post-dinner trip to Ikea for cushion inserts and soft serve – I’m so happy with my new, bright cushions and for so little money too! I think I need a new couch, just so I can make more cushions! Oh I am so envious that you can just head to Ikea for a post-dinner trip!! It’s about four hours of travel (including a ferry) for me… It might be best though, or I would probably have an Ikea problem:) So glad to hear that your cushion covers worked out so well!! Yay!! I am always so thrilled to hear when people are successful in following this sewing tutorial- it is really easy, isn’t it! !